The Corozal Free trade Zone is one big Duty Free source of supply for the hundreds of thousands of visitors from Mexico and Guatemala. 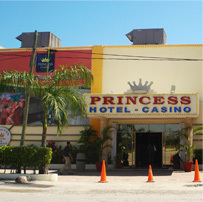 Casinos and hotels have been opened who contribute largely to the successful activity of the Zone. The Corozal Free Zone is located on the Belize/Mexico border (Santa Elena Border, Corozal District, Belize). The Corozal Free Zone occupies an approximate area of 267 acres with expansion capacity of 200 acres more. The Free Zone is managed by the Corozal Free Zone (CFZ). The CFZ is headed by the Executive Chairman and the Chief Executive Officer under a Board of Directors and its headquarters is based at the Free Zone. Sub tropical (Dry season - January to May. Rainy season - June to December). The closure of the Liberated Sugar factory in 1985 created extreme economic hardship for the northern region of Belize, particularly the Corozal District. The direct impact of this factory closure was a severe job loss, forcing Belizeans to migrate to Mexico and the United States of America in search of employment. Even today there are Belizean communities working in Cancun and New Orleans resulting from this outward migration. Due to this scenario Belizeans sought to stretch their hard earned dollars and began daily shopping in the border city of Chetumal, Quintana Roo. As a result, for every Belizean dollar that Mexico spent in Belize, there were forty dollars spent in Mexico by Belizeans. Under these circumstances the Corozal Free Zone (CFZ) was created. The CFZ concept is to provide job creation in the Belizean economy, attract national and foreign investors and generate more revenue to the Government of Belize. The Corozal Free Zone Act was enacted into law in the year 1994. The purpose for the creation of the Free Zone was for the development of trade in retail and wholesale of merchandise, as well as light manufacturing to take place at the Santa Elena Border in the Corozal District. 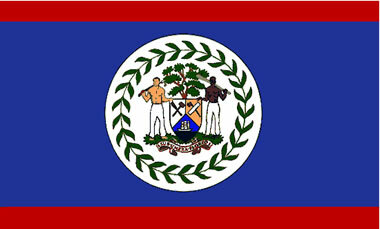 The Government of Belize decided to capitalize on the opportunity of being next door to the second largest trading block in the world North American Free Trade Agreement.